Global dairy prices slumped at an auction early on Wednesday, posting their biggest loss in more than six months. The Global Dairy Trade Price Index dipped 2.4 percent, with an average selling price of $3,223 per ton, at the fortnightly auction. The index had risen 0.9 pct at the previous sale. 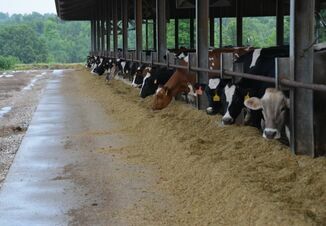 The result suggested a recent rally in dairy prices in the second quarter was running out of steam. 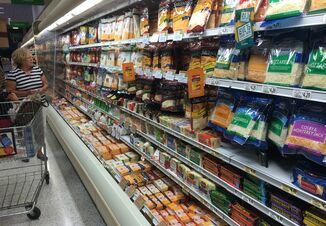 Nevertheless, analysts suspected low production in New Zealand, that world's top source of dairy exports, meant that prices could pick up again as supply waned. "Despite the dip in prices overnight, we see potential for overall prices, particularly for WMP (whole milk powder), to push higher over coming months," ASB economists said in a research note. "NZ weather has been poor (very wet) and production is reportedly back on last season," they added. Prices for whole milk powder sank by 2.7 percent, at odds with futures markets that had been pricing in a 5.8 percent rise, according to analysts. The New Zealand dollar fell 0.4 percent to a one-month low of $0.7160 after the auction. 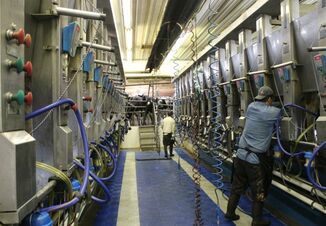 The auction results can affect the New Zealand dollar because the dairy sector generates more than 7 percent of the nation's gross domestic product. A total of 37,990 tons was sold at the latest auction, an increase of 11.4 percent from the previous one, the auction platform said. GDT Events is owned by New Zealand’s Fonterra Co-operative Group Ltd , but operates independently from the dairy giant. U.S.-listed CRA International Inc is the trading manager for the twice-monthly Global Dairy Trade auction. A number of companies, including Dairy America and Murray Goulburn, use the platform to sell milk powder and other dairy products. The auctions are held twice a month, with the next one scheduled for October 17.